The Impact Trolley is the only trolley on the market designed specifically for impact braking. 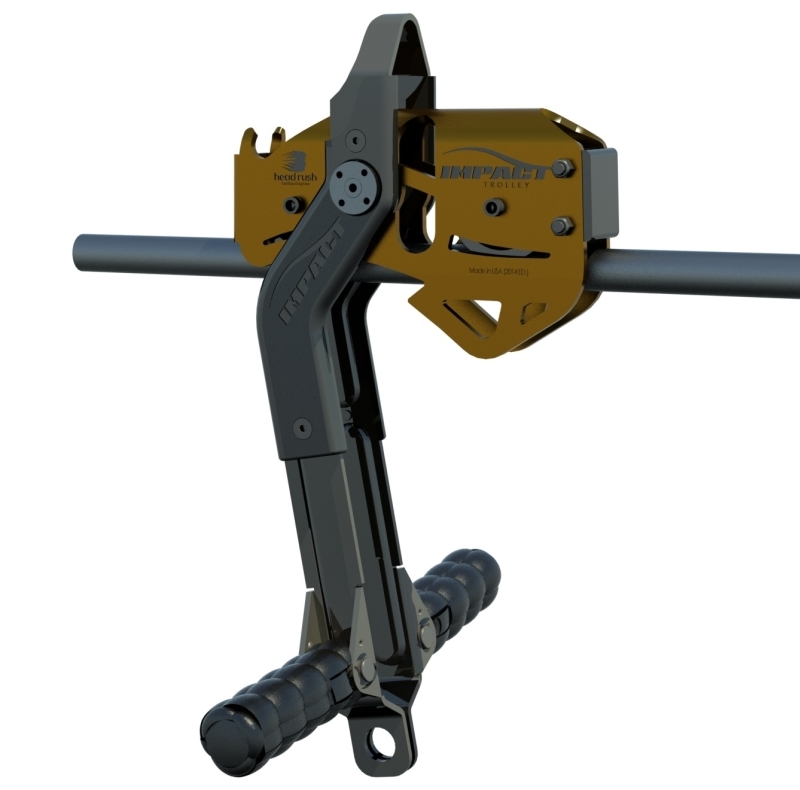 Engineered specifically for the zipSTOP Zip Line Brake system, the Impact Trolley provides smoother braking, enhanced rider experience, reduced cable wear, and decreased rider risk. 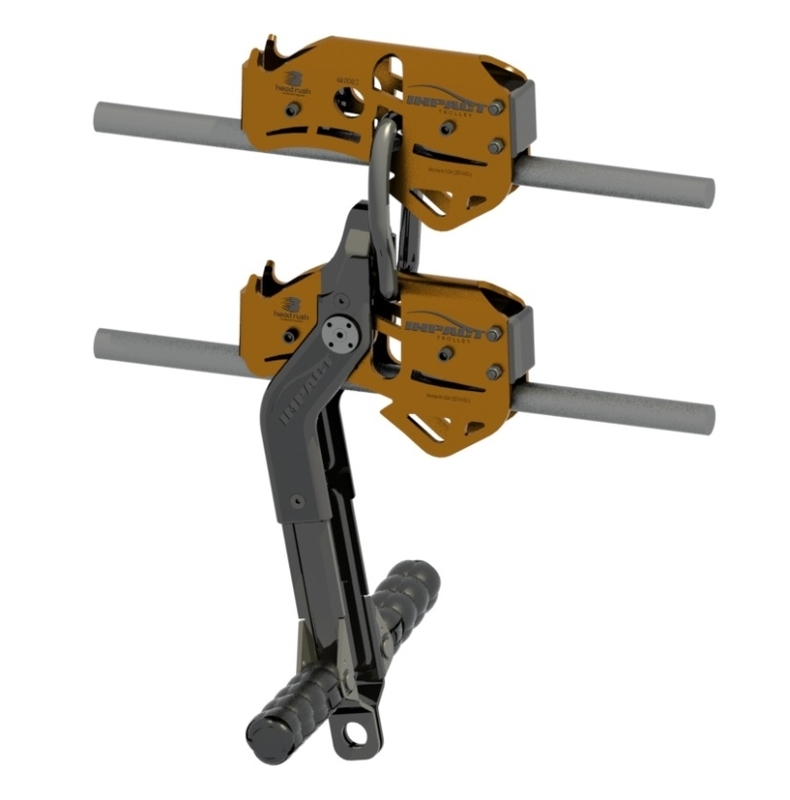 Use the zipSTOP Zip Line Brake and Impact Trolley together for the most cohesive, efficient, and cost-effective zip line operation possible. Choose between single or dual line trolleys. Then decide whether you're adding the handles (we recommend the handles for risk mitigation and the best possible rider experience). Finally, consider adding the Catch Accessory to your setup. 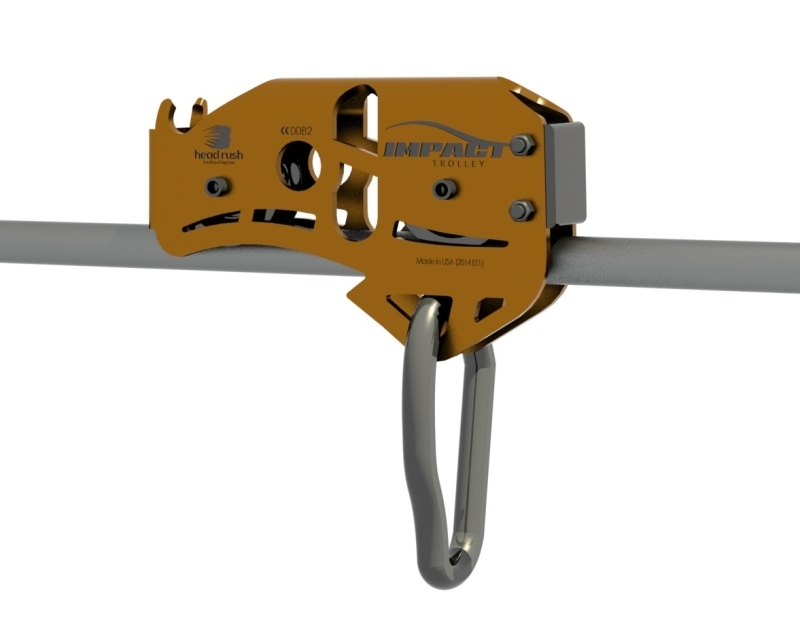 If your zip line construction sometimes leaves riders short of the platform, especially light riders, you should include the Impact Trolley Catch Accessory. This modular option bolts into your existing brake trolley and works to catch the trolley as riders make contact with the Bump Stop. All guides have to do is pull the rider in to the platform. No more emergency rescues. 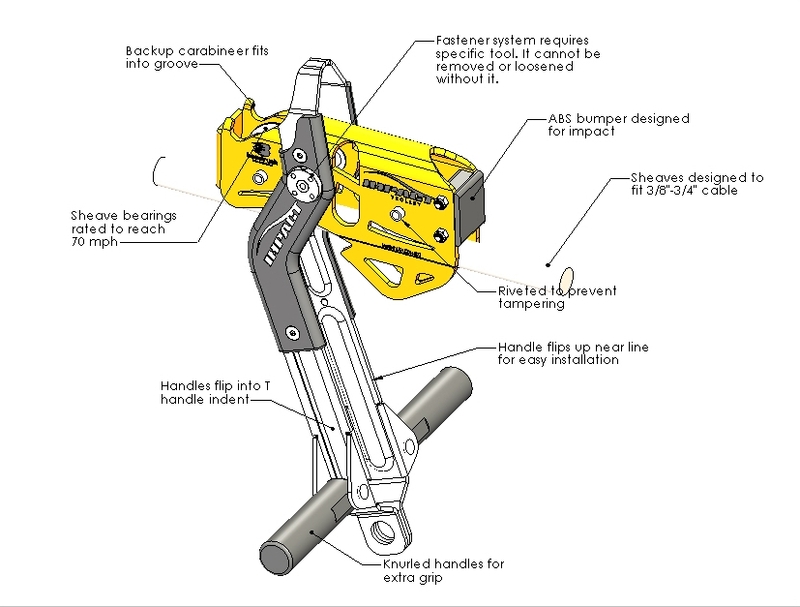 The Catch Accessory is a revolutionary attachment to help you eliminate rider rescues and take the responsibility off of riders to use the hand-over-hand self-rescue technique. The Catch Accessory even works with offset redirection lines. Improve your throughput, maximize your profitability, and enhance customer experience by installing the Catch Accessory and Impact Trolley. Trolleys are one area of zip line operations with huge potential. Currently, there are no trolleys on the market designed specifically for impact braking systems, like the zipSTOP. The problem is that these other trolleys not designed for impact braking cause unnecessary wear and are a risk to your zip line operation and riders. What happens is when these trolleys make contact with the zipSTOP Bump Stop, they wheelie and don't ride the cable like they are supposed to. You end up replacing your Bump Stops often because they are a sacrificial wear part and weren't designed to get hit in this way. Beyond replacing your Bump Stops, the uneven ride on the cables means parts of the trolley makes contact with the line causing unnecessary cable wear, meaning you have to replace your entire line more often than you should. Finally, your visitors are paying the price for this abrupt impact with greater swing, placing them at risk for injury. The Impact Trolley was designed with all this in mind. Every component of the trolley serves an important purpose and was carefully considered for maximum performance and effectiveness. The front of the trolley is designed with a slight curve that ensures smooth contact with the cable at all times. Both sheaves stay on the cable at all times, removing the risk of cable wear. Contact between the trolley and bumper is efficient so your riders stop like they are supposed to, but with the smoothest braking possible.